Zucmanski ’57 – Happy Holidays 2016! 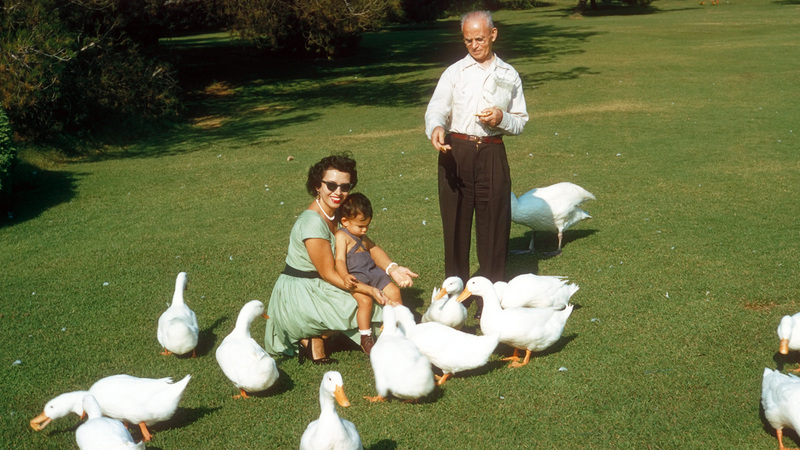 Sheila, Glenn & Sam Zucmanski, circa 1957, with geese, or are they ducks? or are they geese? in a nearby park. The Zucmanski family. Originally from somewhere in Poland. Unless it’s Germany. But probably not Russia. Although they emigrated to America from Russia. But Tiki is from Russia. Or possibly Crimea. Tiki is not in this picture. She comes along later in the story. If Tiki had been around at the time you would hear a lot of barking, but you would not see any geese. Unless they’re ducks.